Have I been sneaky about the fact that I'm not the hugest fan of contour? I don't really think that I have. I think my problem with contour is that I've seen so much of it done incredibly badly and I just never wanted to be one of those people. I've done a little bit, but anytime I've used ashy contour shades it just ended up looking dirty and old so I kind of gave up. I definitely wasn't interested in investing in one of the higher end contour kits, since it was a makeup trend that I wasn't really into. 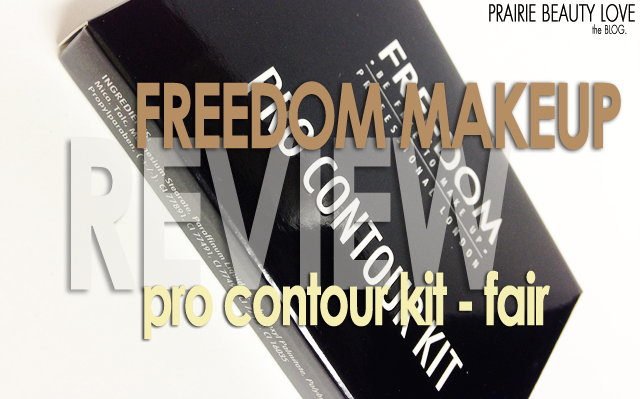 However, for $6.86CAD, I couldn't resist trying out the Freedom Makeup London Pro Contour Kit in Fair. I mean... Could I? So anyway, I've been using this pretty much every day since I got it and I think I might finally be on the contour bandwagon - Just in time for STROBING, because I'm behind on every trend! 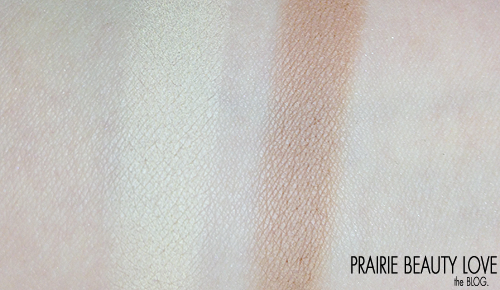 Anyway, keep reading for a closer look & swatches! First off... I was expecting it to be bigger. I'm not sure why, but I suppose in the picture is looked bigger than it actually is. Luckily, the pans are the full size of the palette, with the highlight shade being the larger of the two, and they have a pretty good amount of product in each. There are 6 grams of product total in this kit, which I think is a decent amount of product, specifically for the price. I have to say that I do wish the pans were the same size, because I do think I'm going to run out of the contour shade much more quickly than the highlight shade, but that's really only a small nitpick for me. The textures of these powders are absolutely beautiful. Each is incredibly silky and soft with very high pigmentation. There is some kick up in the pan when you put your brush in, but there really is absolutely no chalkiness to the formula. When you brush your finger over the powder, you end up with an even, highly pigmented swatch, which speaks to the formula. These also blend really beautifully on the skin. I've found that when using the contour shade on my cheekbones, it's almost effortless to get a soft, natural looking shadow there without any harsh lines. I find that the highlight shade is absolutely gorgeous for setting my under eyes and bringing some brightness there, though I do find I have to be careful not to apply too much or it can look powdery. Admittedly, I was a little bit concerned about the shades when I first opened it. 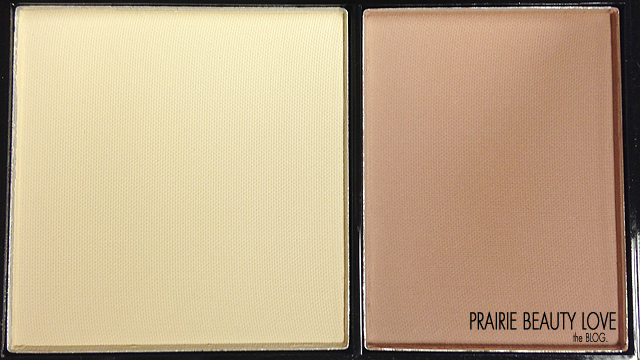 The highlight shade is a soft yellow toned cream and the contour shade has a lot of pink to it, so I wasn't sure exactly how they were going to work on my skintone. Luckily, figured out that both of these shades really do exactly what they're supposed to on my skin. The highlight shade really does add a ton of brightness, even on my light skin, and the contour shade gives me a slight depth to my skin without it looking muddy or dirty. I think what I like most is that it's easy for me to create a really subtle, natural looking contour with this product without having to work too hard. What more could I ask for? If you're looking for a really intense contour product, this might not be the one for you, but if you've got a fair to light skintone and you're looking for a subtle contour, I would highly recommend checking this out. The Pro Contour Kit is also available in Medium 01 and Medium 02, which are actually incredibly different from one another, so I think there is probably something workable in this line for a lot of different skintones. 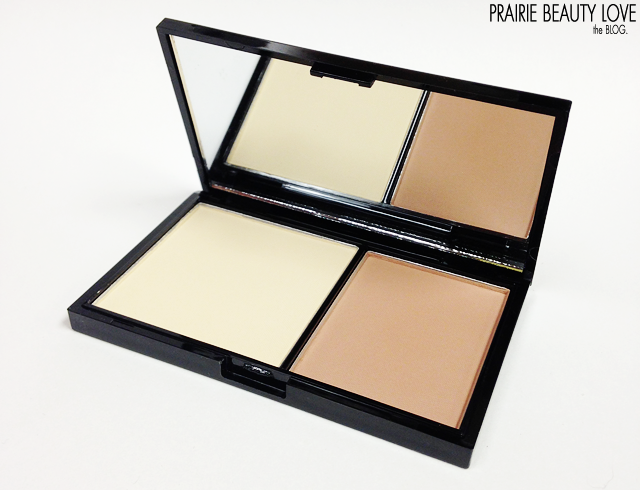 Do you enjoy contouring products? What are your favorites?